Misty's White Out, nicknamed Tony the Pony, is Misty's Hurricane Izzy's first foal and Misty II's Henry's first grandfoal. He was named White Out as a foal due to his mostly white coat. He could be seen at the Chincoteague Pony Centre that year with his dam and was sold to Kirsten Dubbs of Pennsylvania, who rode Misty's Black Mist in her early years, and she trained him under saddle. 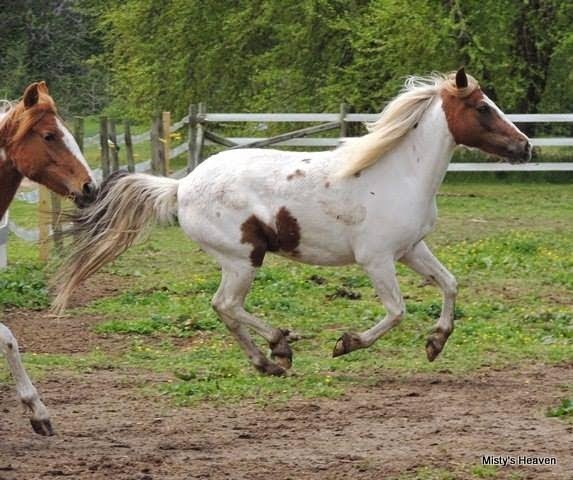 Tony returned to his home herd and spent several summers at the Chincoteague Pony Centre. Tony has been used as a lesson and 4H pony and he was sold to one of his riders. He is a beloved member of their family.